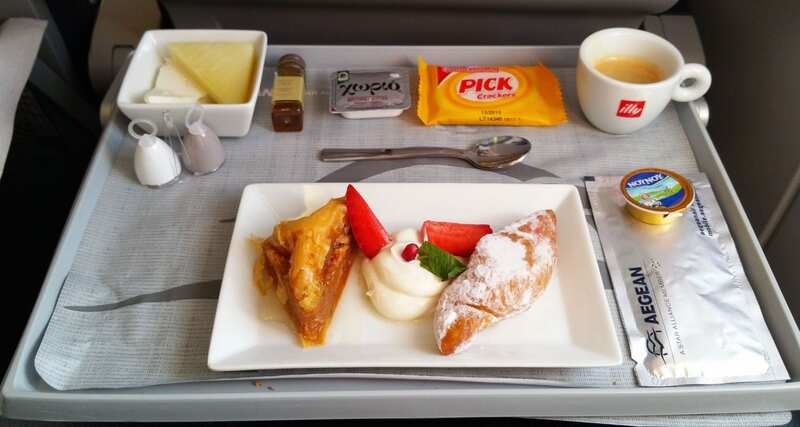 When the opportunity to fly Aegean Airlines in Europe comes up I always know that it’s going to be a great inflight meal experience, and yes even in economy. However today I am flying from Brussels to Athens in Business Class to get another taste of what’s served inflight. In case you aren’t aware Aegean Airlines collaborates with Chef Nikos Sarantos and Konstantinos Lazarakis offering passengers a Greek inflight meal experience, paired with fabulous tasting wines from around the country. Marinated strips of chicken breast on a bed of salad leaves topped with peppers, cheese cherries, pomegranate and mustard vinaigrette. Grilled beef fillet with baked new potatoes, vegetable pearls and a red wine sauce. 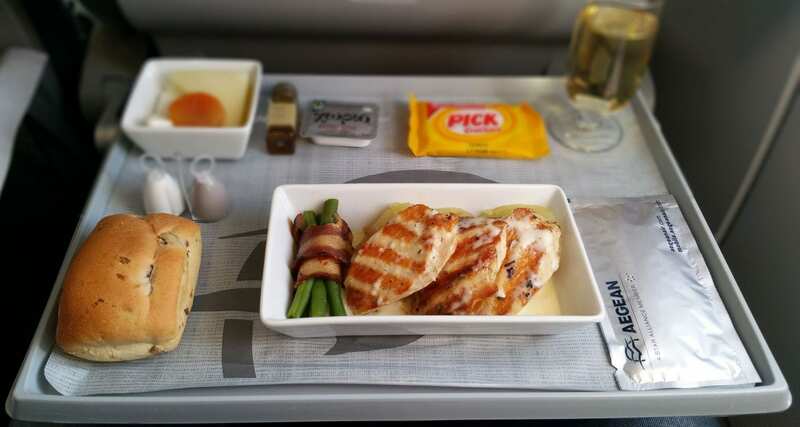 Grilled fillet of chicken with Lyonnaise potatoes, green beans and turkey bacon with lemon thyme sauce. I couldn’t decide as both dishes sounded divine so I asked the cabin crew member what her favourite was. “Try the chicken you will enjoy it’ she said, so I took her word for it. Her recommendation was accurate, look at this presentation. The chicken was delicious, moist and nothing went to waste, the dish reminded me of a dining experience at a quiet Greek taverna hidden away in the back streets of Athens. Dessert continued in the same fashion with quality Mediterranean desserts served with my favourite coffee, Illy. Being part Greek, it’s great to be welcomed back to Greece by the food that Aegean serves whether it’s in business or economy class. Greek culture is about making you feel at home (and making you eat a lot! 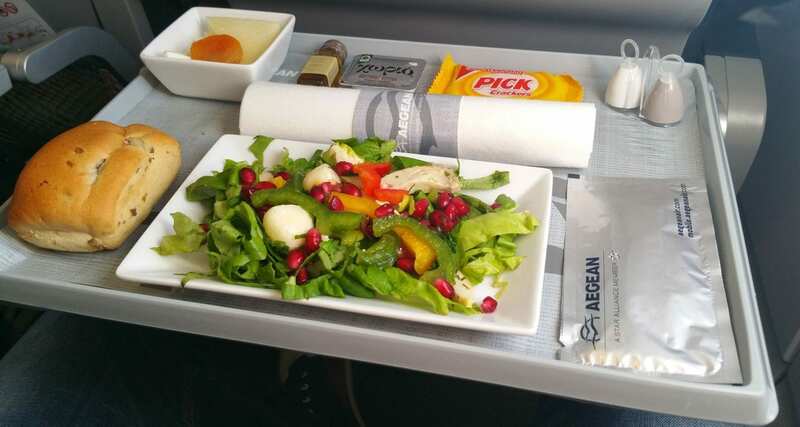 ), and Aegean has successfully integrated this culture and food experience in their airline cabins.